Legislators on Beacon Hill added potentially life-saving Lyme disease legislation as an amendment to the fiscal 2017 state budget bill, and thousands now anxiously await Governor Baker’s approval. Championed by Senator Anne Gobi and Representative David Linsky, this measure is an important step in addressing the silent, mostly invisible epidemic plaguing our state. Massachusetts is ranked second in the nation for confirmed Lyme disease cases; there are over 300,000 annually across the United States and there may be over 50,000 people infected in Massachusetts each year. To put this in perspective, Lyme disease is more prevalent than HIV, hepatitis, and breast cancer combined. Lyme disease is endemic in Massachusetts, leaving no city or town untouched. And yet, in the midst of this widespread public health crisis, many people are facing enormous difficulty accessing their necessary physician-prescribed medication due to insurance denial of coverage. The provision included in the budget bill would protect patients and protect Massachusetts by ensuring that medically-licensed doctors, not insurers, determine Lyme disease treatment. As a result of insurance denial, many Lyme disease patients are faced with either forgoing medical treatment and suffering the resulting impact to their health, or going into debt. In this way, some insurance providers, not doctors, are determining Lyme disease medical treatment (or lack thereof). So what’s the big deal? It’s a tick bite, and you get a fever and/or a rash and then you’re done, right? Not quite. 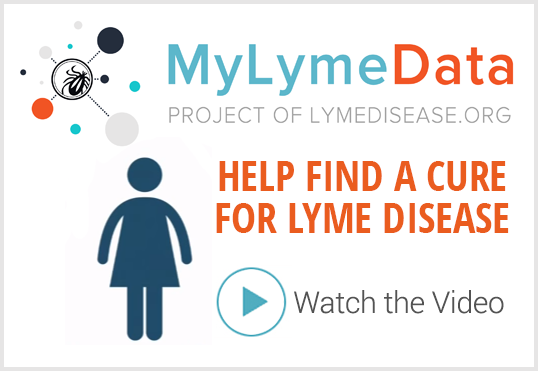 Lyme disease, if treatment is delayed or inadequate, can have far-reaching impacts on citizens’ lives, affecting people’s ability to work, attend school, or function as productive members of society. 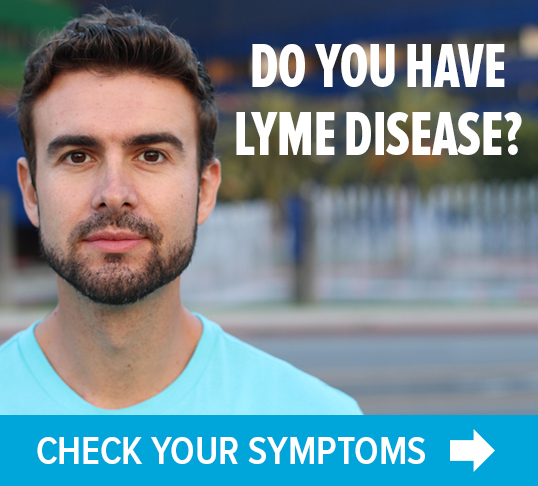 Far beyond the generally known symptoms of fever, fatigue, and joint pains, Lyme disease, if not caught early and treated adequately, can be a debilitating illness. The causative bacteria — a spirochete — can affect any number of organs within a patient. A National Institutes of Health study likens the quality of life of some people affected by Lyme disease to living with congestive heart failure and the physical impairment to having suffered a recent heart attack. The severity of the illness can result in significant lessening of quality of life as well as loss of productivity. Delayed or inadequate treatment leads not only to pain, suffering and a lesser quality of life, but also to significant cost for the Commonwealth: studies show that Lyme disease, in addition to the cost of treatment, increases social costs due to lost economic output, productivity loss, and disability. In theMassachusetts Lyme Commission Report, it’s noted that chronic illness accounts for 84 percent of Lyme healthcare costs which shows that the cost of Lyme disease is a recurring cost until people are adequately treated. Importantly, only 21% of this figure is due to cost of treatment, while 79% is due to lost economic output or productivity loss. Productivity loss and lost economic output can be devastating to small businesses and families. With early and adequate medical treatment, economic costs can be significantly reduced. That is one of the reasons that the Massachusetts Lyme Commission Report found this legislation to be the “next necessary and recommended step.” It is in the best interest of individuals, families, and small businesses to have health insurance that fully covers Lyme disease care. What about the economic impact of the bill? The legislation pending on Beacon Hill protects patients by allowing them to access their physician-prescribed medical care, while costing them next to nothing (if anything at all). As the 2014 Center for Health and Information Analysis (CHIA) report on this legislation makes abundantly clear, the net increase in costs associated with this insurance coverage would be minimal at worst. The CHIA report should be viewed as the authority on the potential costs of the proposed legislation: CHIA is an independent agency, created by legislation in 2012, that acts as the Commonwealth’s primary source of health care analytics that supports policy development. According to CHIA’s estimates, requiring coverage for this benefit by fully-insured health plans would result in an average annual increase, over five years, to the typical member’s monthly health insurance premiums of an amount between nothing (0.00%) and $0.13 (0.02%) per year. That’s right: potentially zero dollars and zero cents for protection against incurring thousands of dollars in medical bills. And, assuming the worst case scenario, consumers could expect to pay $0.13 a month. For this negligible cost, tens of thousands of Massachusetts residents can be assured that, if they become ill from Lyme disease, they will not be denied access to care by their insurance company. Massachusetts patients, families, employers and society would benefit immensely from fewer people missing work or school or needing to go on disability. With Lyme disease affecting approximately 50,000 Massachusetts residents each year, this adds up to tens of millions of dollars in lost productivity. Viewed in this light, the Lyme legislation makes both sense and financial cents: if employers can pay either nothing or next-to-nothing per employee to ensure that their employees can receive adequate medical treatment, this is obviously preferable to incurring exponentially greater costs if employees become ill and can’t afford their doctor-prescribed treatment due to insurance denial. Although insurers and their allies paint a parade of horrors if this Lyme legislation passes, their concerns are tied to their bottom line and are not in the best interests of their policy-holders, families, businesses or Massachusetts. Rhode Island passed similar legislation over a decade ago, and the sky did not fall and businesses were not hurt: in fact, the only discernible outcome is that sick people received the medical treatment that they needed. The Massachusetts Lyme Coalition has broad support in its fight for appropriate insurance coverage for Lyme disease. Within the State House, 140 senators and representatives have signed on as co-sponsors for this legislation: these legislators represent both major political parties and more than two-thirds of the Commonwealth, ranging from the Berkshires to Cape Cod and the Islands. Their support for the measure has been buttressed by the phone calls, emails, testimony, social media outreach, and other efforts from thousands of Massachusetts residents during the current legislative session. Numerous physicians, public health professionals, health policy advocates, attorneys, and others have weighed in to support this legislation and push it forward. Unions and associations supporting this measure include the Massachusetts Organization of Scientists and Engineers (MOSES) and the Massachusetts Association of Land Surveyors and Civil Engineers (MALSCE), which represent more than 4,000 scientists, engineers, and land surveyors, many of whom see the effects of Lyme disease first-hand. The question is simple, really: who do you want determining your medical care — your medically-trained physician or your insurance company? If you answered your physician, then you’re with us. Call Governor Baker’s office at 617- 725-4005. Every voice matters and it’s absolutely critical to let the Governor know that he has your support in signing this Lyme measure into law. 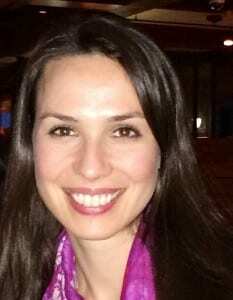 Michelle Treseler co-founded the MA Lyme Coalition. LYMEPOLICYWONK: Mammograms, pap smears and Lyme? Statistical lives vs personal lives. You choose.